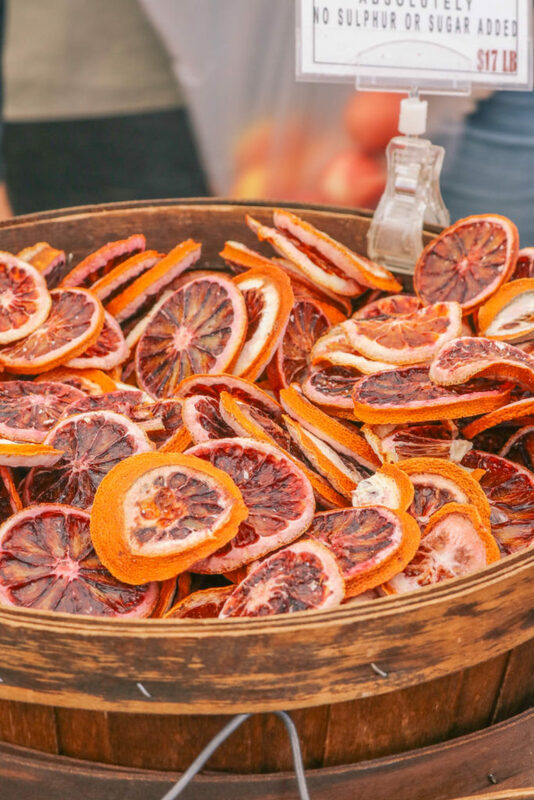 One of our absolute favorite weekend activities is visiting a local farmers market. 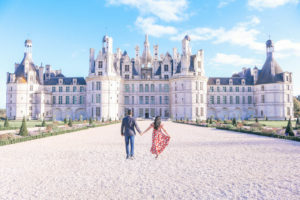 We have several favorites around our home and we tend to switch up which ones we visit. 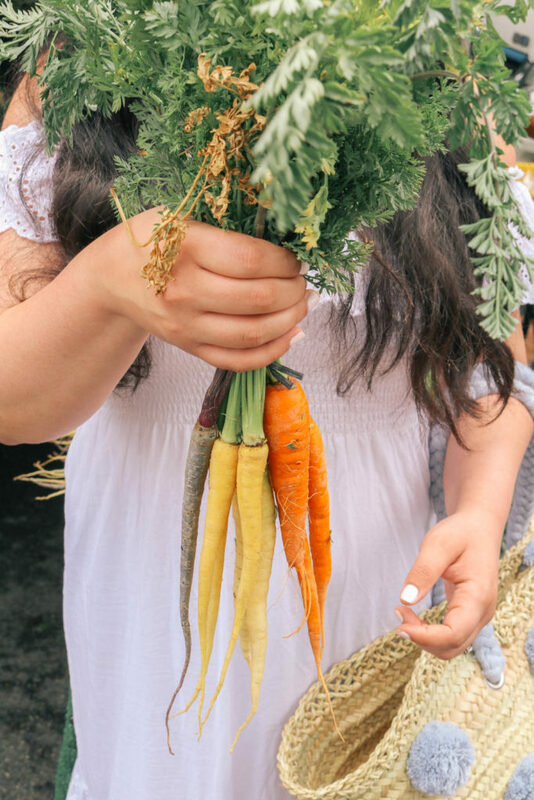 We love wandering around, finding new things to try, knowing that we are purchasing local and fresh food, and then coming home to make beautiful farm-to-table meals out of our finds. It’s an extremely simple adventure, but it’s one that we really love. Since the produce and the vendors are always different, it feels like a different experience every time. 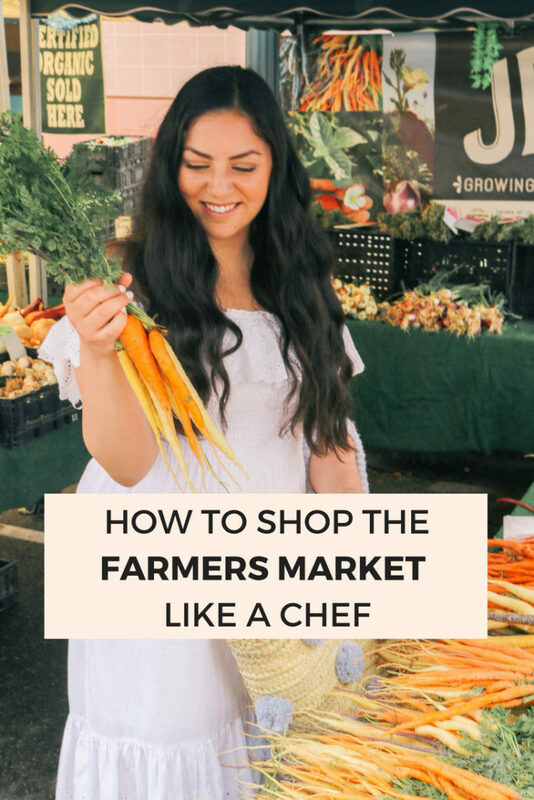 After visiting several different farmers markets for the past few years, we’ve learned a few tips on making the most out of the visit. 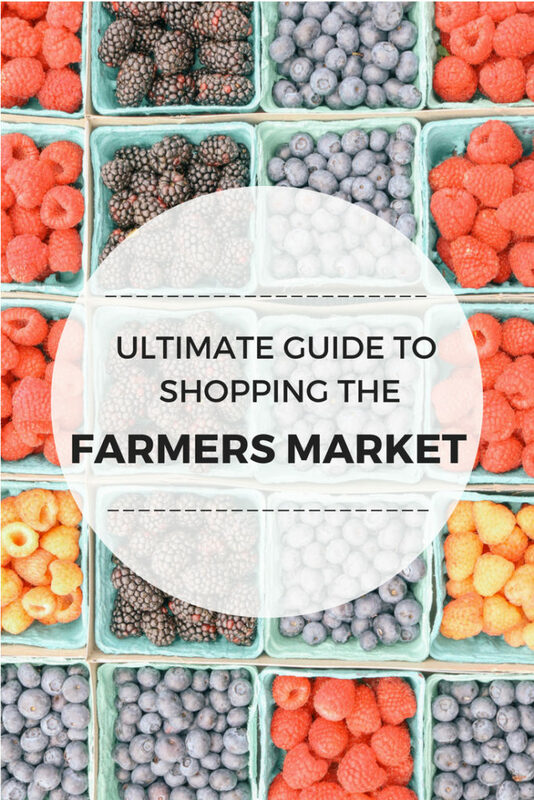 Here are our best tips to shop your local farmers market like a pro! 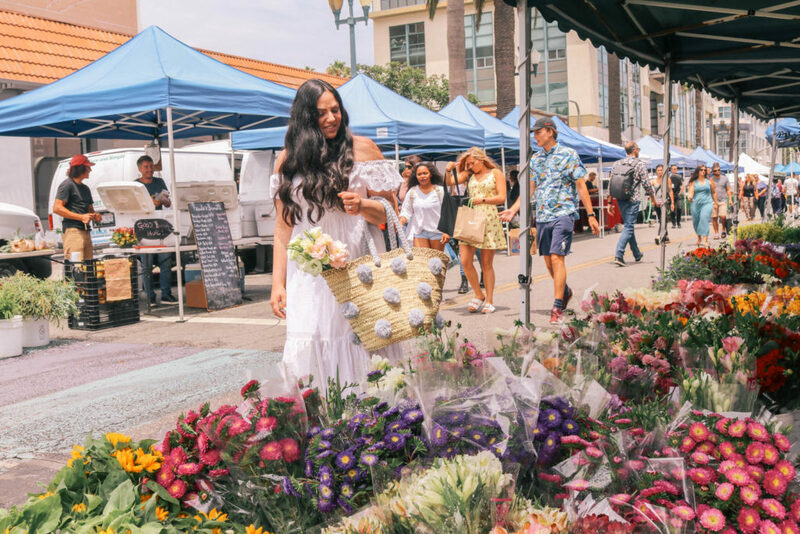 The time you arrive at the farmers market makes all the difference in the shopping experience you’ll have! Pick your timing according to what’s most important to you. 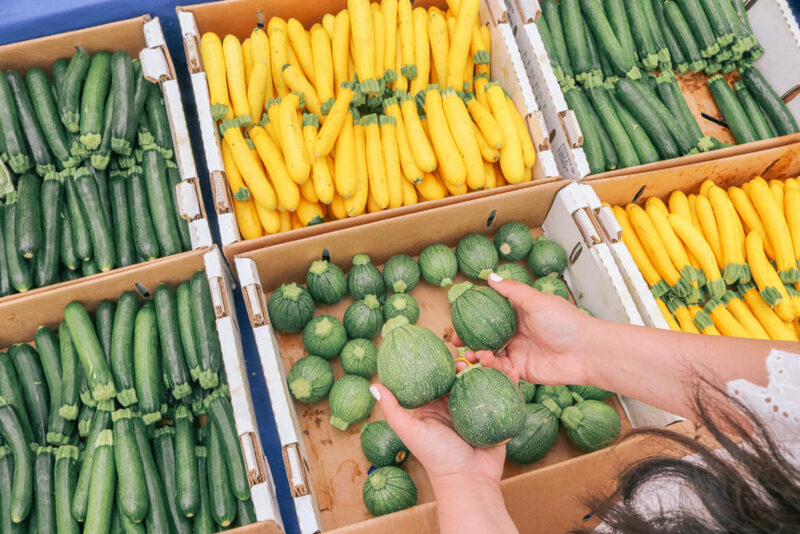 Early morning: Arriving to the farmers market early ensures that you’ll get first pick and be able to take home the best of the best. 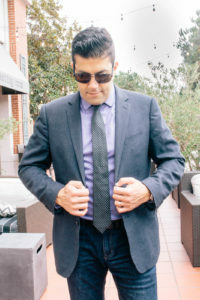 This is typically when chefs and restaurants will arrive to make sure they are able to purchase the best and also to ensure things are not sold out. It’s often a bit slower earlier in the morning and the farmers may have more time to chat with you. Mid Day: Typically the most crowded time. It can be a bit difficult to navigate market during this time and the vendors won’t have very much time to speak with you. End of day: This is a slightly risky time to arrive because the produce is generally pretty picked over, leaving with you with whatever is left over. Very popular items can also be sold out at this point. That being said, end of day is typically when you can get the best deals as vendors are motivated to sell whatever is left. I tend to like arriving at this time best, especially since I hate waking up early. I find the vendors are more relaxed by end of day and willing to chat and share advice. Make sure not to arrive too close to closing time though, as vendors will often pack up early if the market is getting empty. 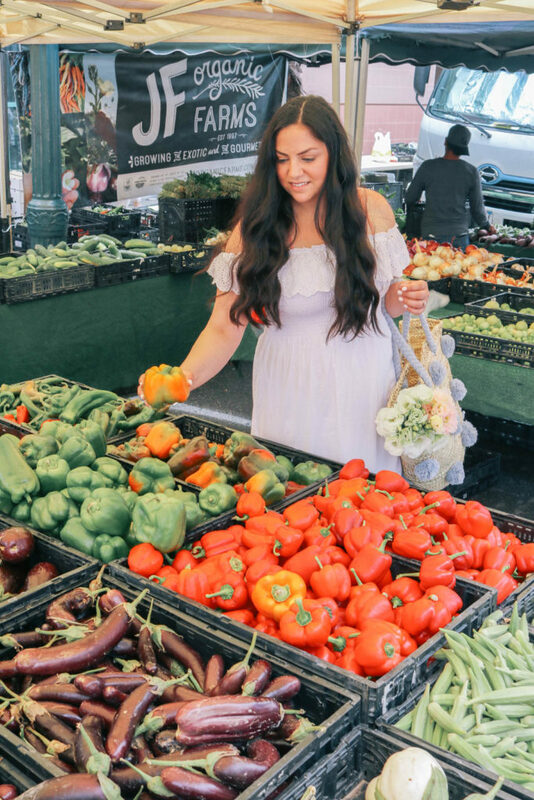 It can be tempting to start shopping as soon as you arrive and find something that catches your eye, but I always try my best to walk through the market first and then shop. Many vendors will have similar items, but some vendors have better produce or better prices than others. 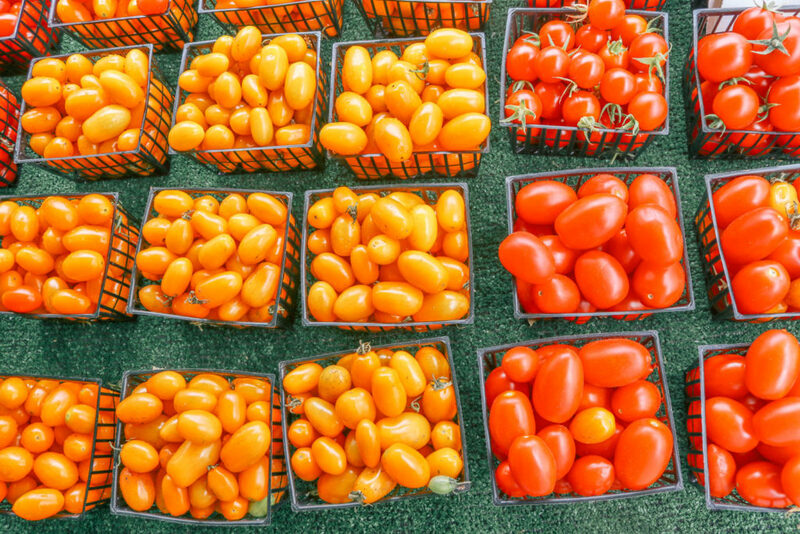 If you survey the market first, you’ll be able to see whose produce looks best or who has better prices. Take advantage of samples too. Almost all the vendors offer them and even if you don’t see them set out, you can always ask. 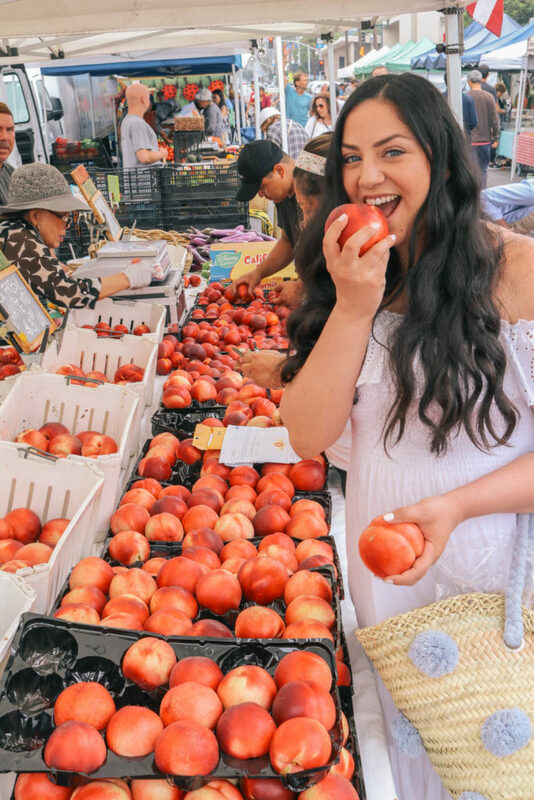 Once you know whose peaches are sweetest, for example, you’ll know who to purchase from! Larger markets often offer printable maps online. It can be helpful to print one out and make notes on it as you survey the market. Make sure to check the stalls all the way at the back of the market. 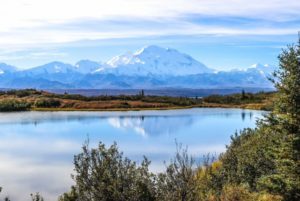 Often newer vendors are stationed in the less than desirable locations and they can have some great stuff! It’s difficult to shop at the farmers market with a shopping list because you never know what’s available. It depends on the season, what was ripe that week, and what hasn’t been sold out. It’s much better to shop based on what looks best that week and then plan your menu around what you find. That being said, do go with an idea of the categories you want to shop. Without some sort of idea of what you need, it can be very easy to leave the market with all kinds of yummy looking things – but not things you actually needed. I typically try to pick up at least 4 vegetables, 2 fruits, herbs, and a fresh loaf of bread if available. If you are planning an event or special dinner, make sure you purchase enough items that you can combine into an appetizer, entree, and dessert. Most vendors don’t accept credit cards, so make sure you bring cash with you! You can also do a little more negotiation when you pay in cash. 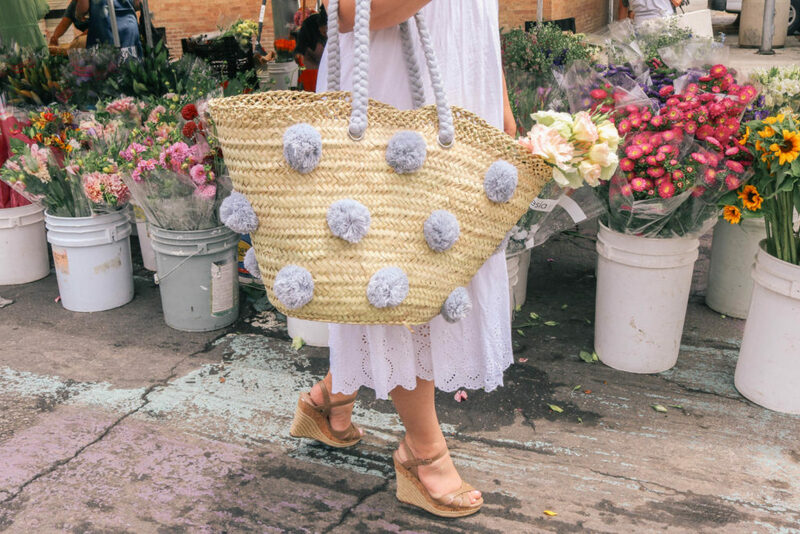 You’ll also want to bring a basket to carry your goods. I love this cute option. 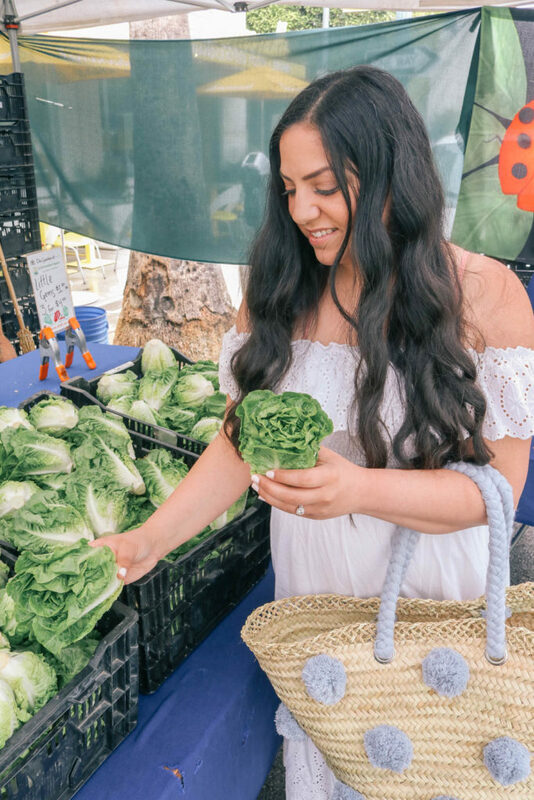 Not all vendors offer produce bags, so if you don’t want to place your items straight in your basket you may want to bring some produce bags as well. Here’s a great reusable option. 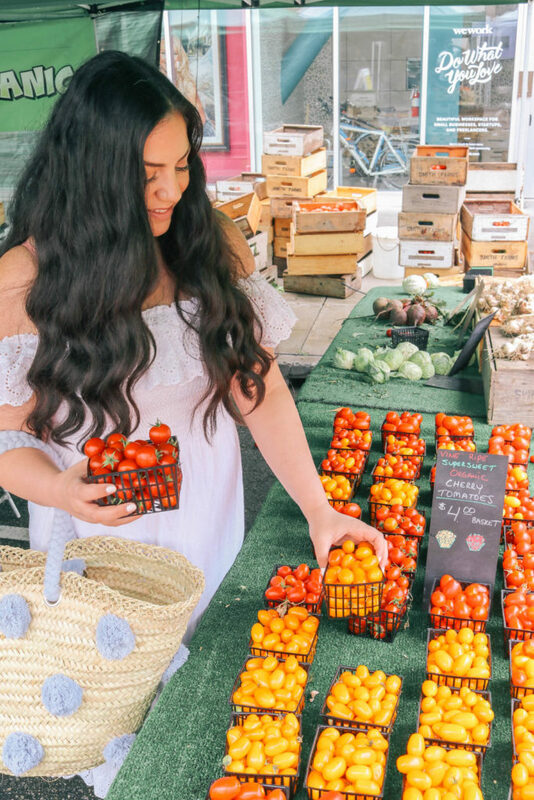 We stick to mainly organic produce when shopping at the grocery store, but it’s not always necessary at the farmers market. Many farmers utilize organic growing practices but just don’t have the organic label because it’s costly. 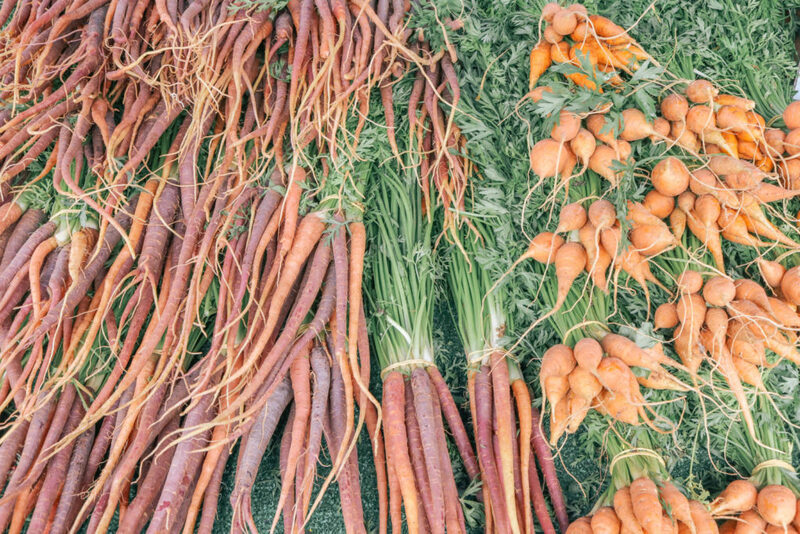 Ask the vendors about their growing practices to decide if you can potentially purchase from a farmer without an organic label, for example, “what to do you use to control pests?” I also suggest asking where the items come from and where the produce is grown. 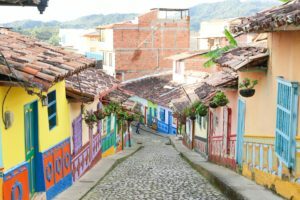 You want to try to only buy things that are local, otherwise, it’s the same as purchasing it from a regular grocery store. One of my absolute favorite things about shopping at a farmers market is trying out new things. I will often look for produce that I’ve never seen before and then ask the vendor suggestions on how to prepare it. 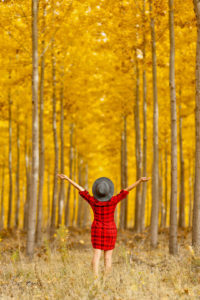 Most vendors are passionate about what they do and happy to share tips and ideas with you. This can be a great way to expand your palate and cooking repertoire, get a different range of nutrients than you typically get, and have some fun adventures in cooking! For example, I recently bought jujubes. The vendor explained how to brew them into a tea and the benefits of the tea. I loved drinking that delicious tea all week long! Besides just new produce, I also try to look for other new things that I’ve never seen before. For example, I recently tried butterfly pea powder. 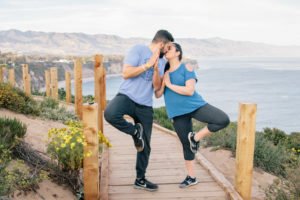 It’s beautiful and has a wide range of benefits. I love coming home from the farmers market having learned something new! 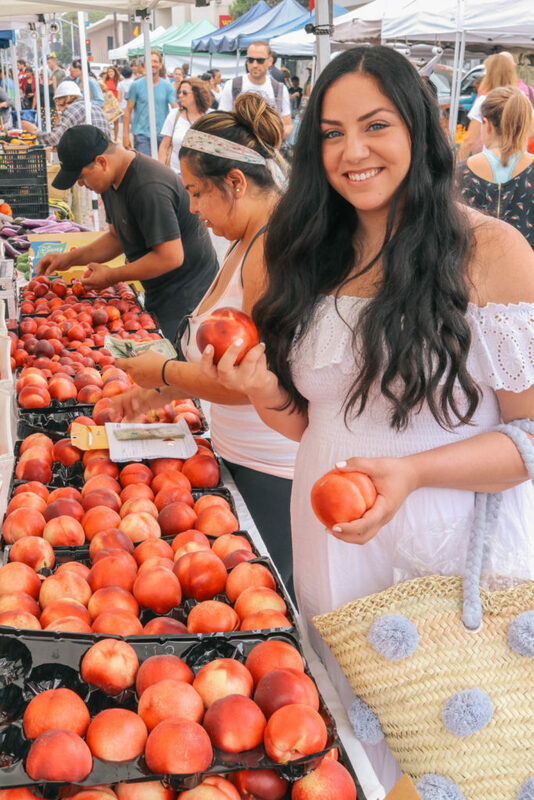 It can be difficult to shop for more than a few days at a time when shopping at the farmers market as farmers market produce tends to spoil faster than grocery store produce. This because there are less preservatives used on farmers market produce and because of the timing of when they are picked. You’ll get many more nutrients from them, but you’ll just need to eat them faster. 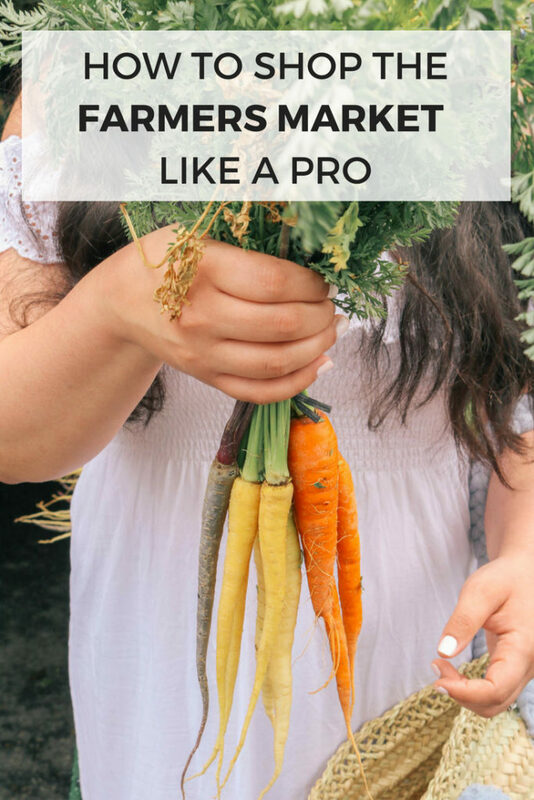 If you’re purchasing something that you’re not planning on eating for a few days, let the vendor know and have them help you select produce based on when it’ll be ripe. You can also ask them for tips on methods to store the produce. I’ve mentioned talking to the farmers and vendors in several of the tips above, but I felt it was worth having it’s own section. A big benefit of buying local is getting to know who you are buying from and establishing a relationship with your vendors. It’s a huge part of the experience. 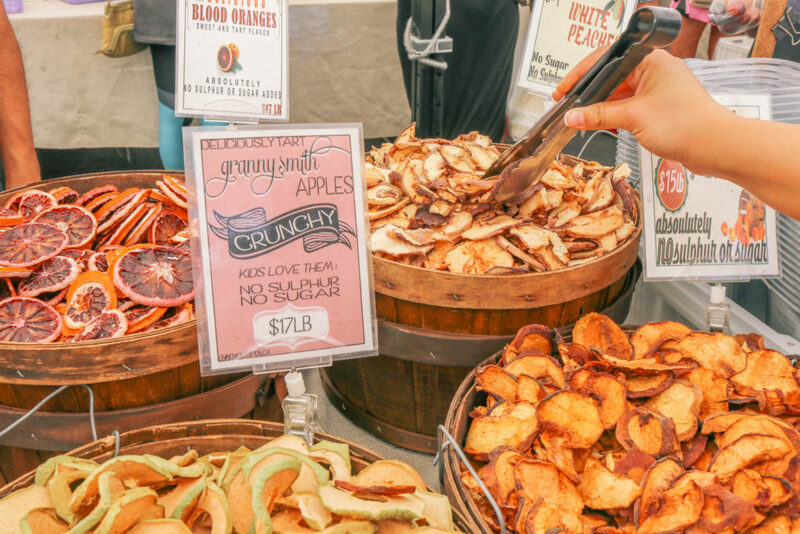 In addition, vendors are very passionate about what they do and there’s so much you can learn from them! I always try to visit the market during the least crowded times so that the farmers will have time to speak with me and ask them all kinds of questions. I’ll ask what their current favorite is, how they prepare it, how they store it, where it’s grown, etc. 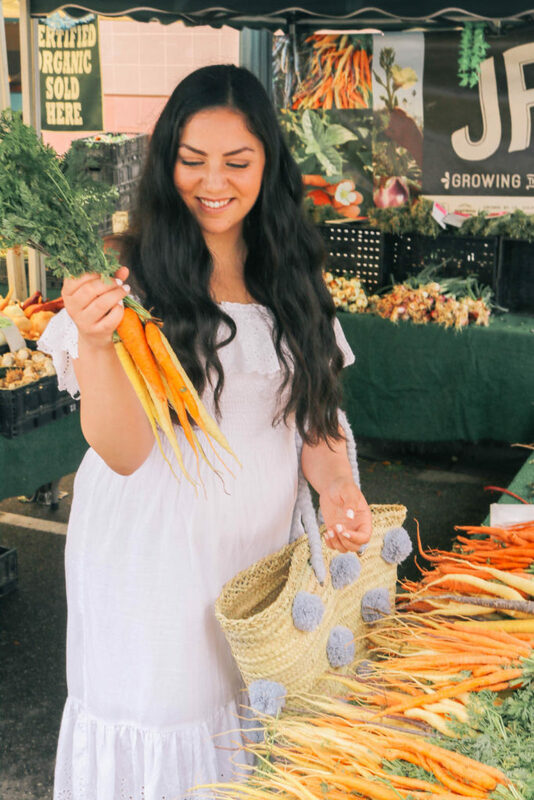 Going to the farmers market is not a rushed shopping trip, it’s an experience, and conversing with the vendors and learning from them is a big part of it! 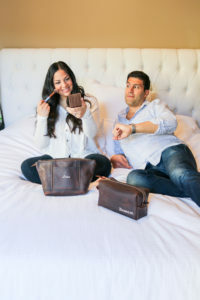 While it’s important to avoid impulse buys as the market can be full of temptations, I also think a big part of the experience is setting part of your budget aside for unexpected finds. You might find a gorgeous bouquet of sunflowers or a flavored olive oil that will be fun to cook with. I love purchasing something that I don’t really need each visit, such as a delicious lavender goat cheese or some dried pears that are are unsulfured and unsweetened but taste like candy. My last farmers market visit I bought some local bee pollen! It’s really great for preventing allergies and sinus infections and was much cheaper than the ones sold at my local health food stores. You never know what you’ll find, so make sure to set some money aside to try something new and not “necessary” each week. 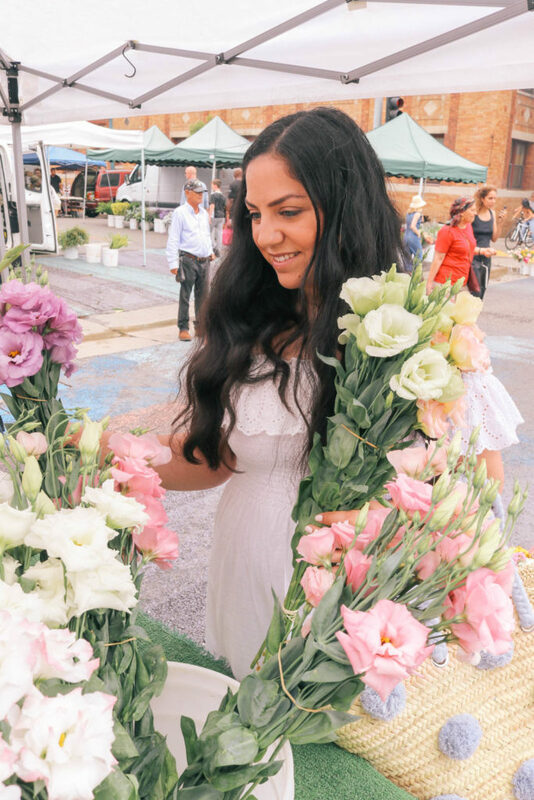 Plus the farmers market always has really gorgeous flowers! 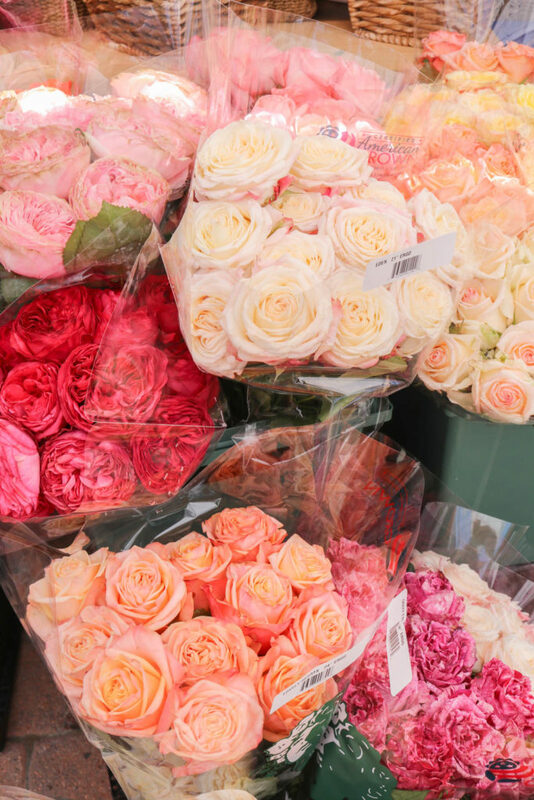 My favorite flower vendor sells a bouquet of spray roses for $5 that I always treat myself to! 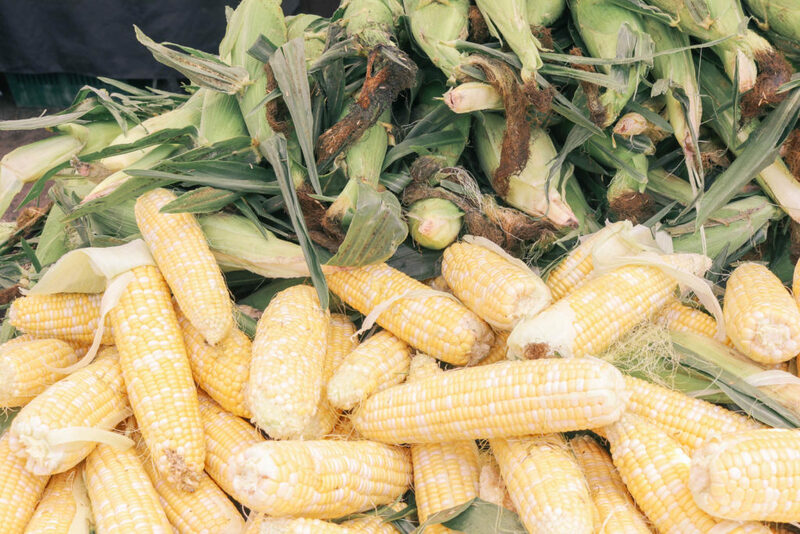 The farmers market isn’t really a place to bargain, but you can get some good deals if you approach it in an appropriate manner. First, consider time of day. Early morning when the market is just starting isn’t really a good time, neither is mid day when the market is overly crowded. End of day is usually best as the farmers are more motivated to clear out their stock. It also helps if you’re the only one at their stall as they don’t usually want other customers to hear they are giving away a deal! If you only have a few dollars left you can ask the vendor what you can get for it and they will often give you a little bit more. “Ugly” produce is usually easy to bargain down as well as no one else wants to buy the ugly stuff, but there’s really nothing wrong with it. 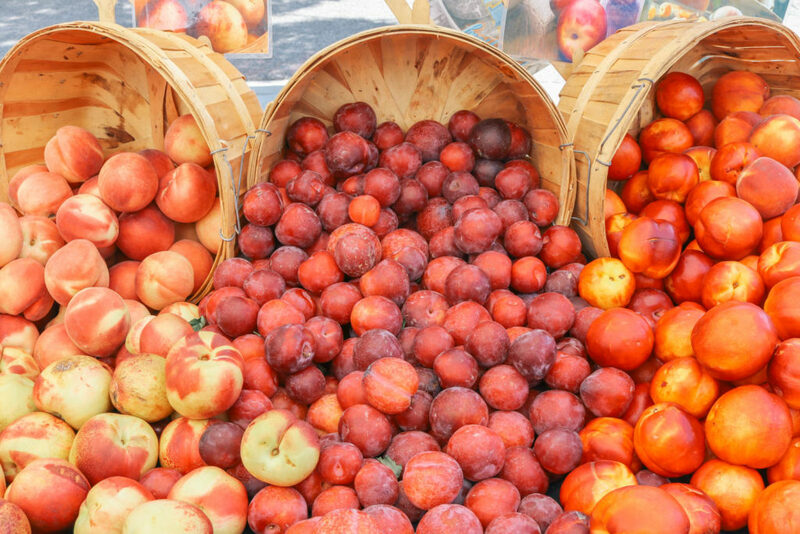 We hope these tips help enhance your farmers market experience! We are so excited to visit ours tomorrow! Do you have any other tips we missed? 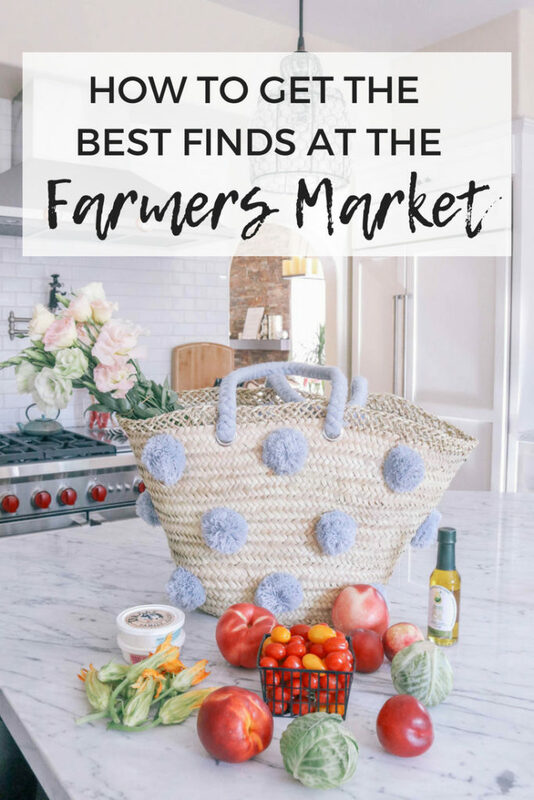 What are your favorite farmers market finds? That’s awesome, your blog made me want to try out new farmers markets! We are moving to a new city soon so def will use your tips to explore the markets nearby! Yay!! I love hearing that! 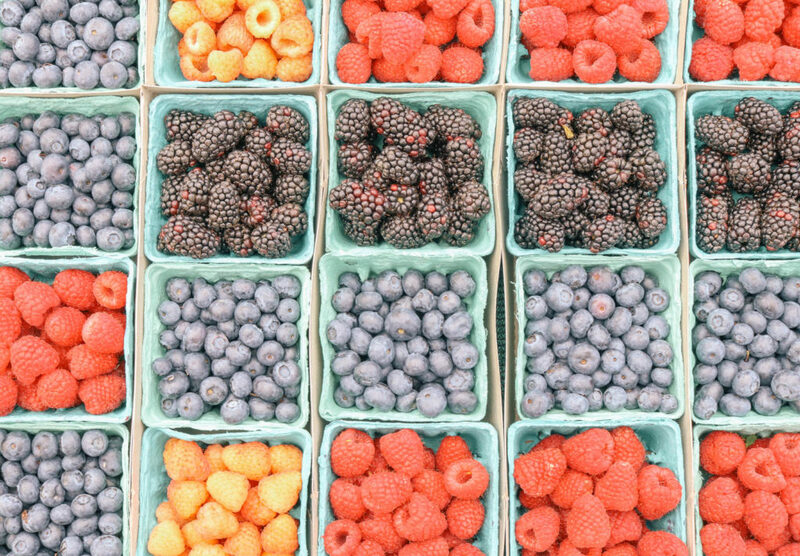 Farmers markets are one of my favorite things! It’ll be such a good way to explore your new city!